Troy Air Experience, LLC. offers unparallel service. Our training facilities have a friendly, comfortable atmosphere and are state-of-the-art. Flight training is done in new Skyhawk aircraft with professional and certified instructors. Plus we offer an interactive, computer based curriculum - an industry exclusive. 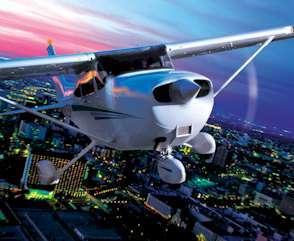 Learning to Fly - We make it fun, convenient, and affordable! Advanced Ratings - Increase your skills or start on your flying career!